In the old days this was one fast boat. 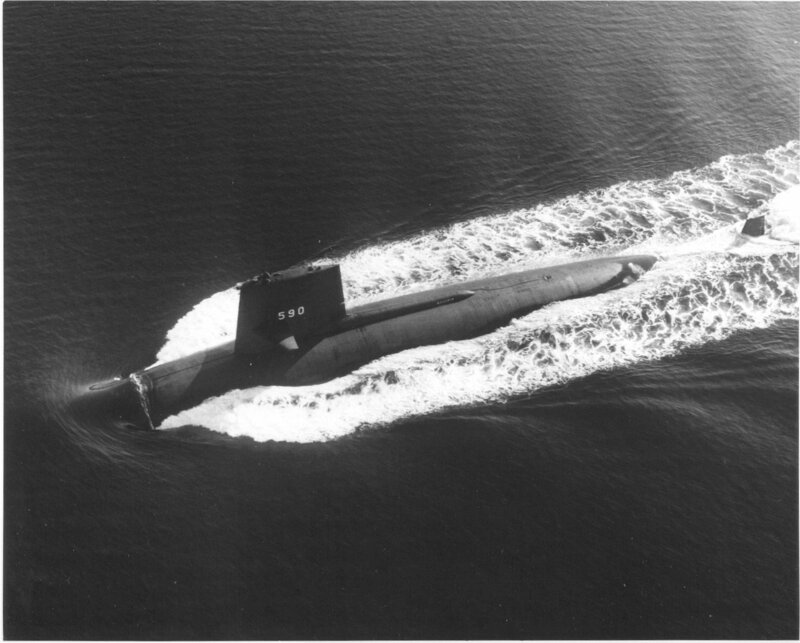 It was the fastest under water vehicle for many years especially with the "old type screw". 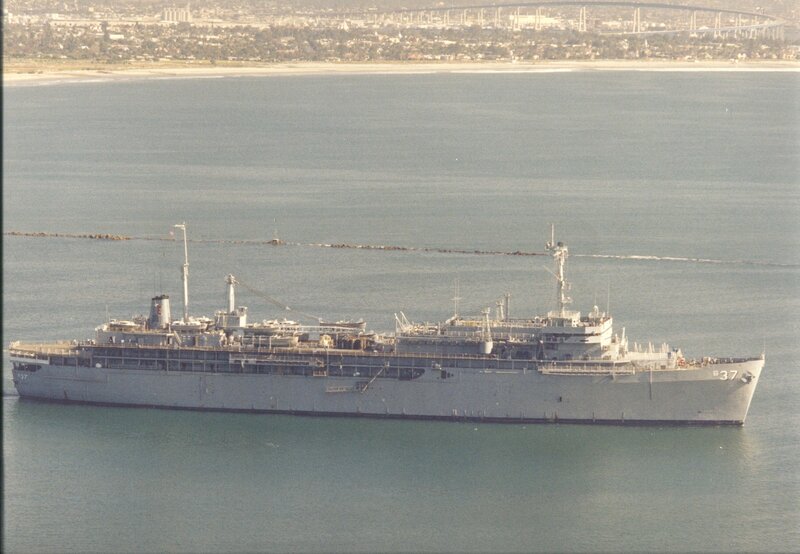 We did a lot of carrier support ops but like many of us ancient mariners she has gone on to greener pastures. The odd looking hump running topside aft of sail is the diesel exhaust. 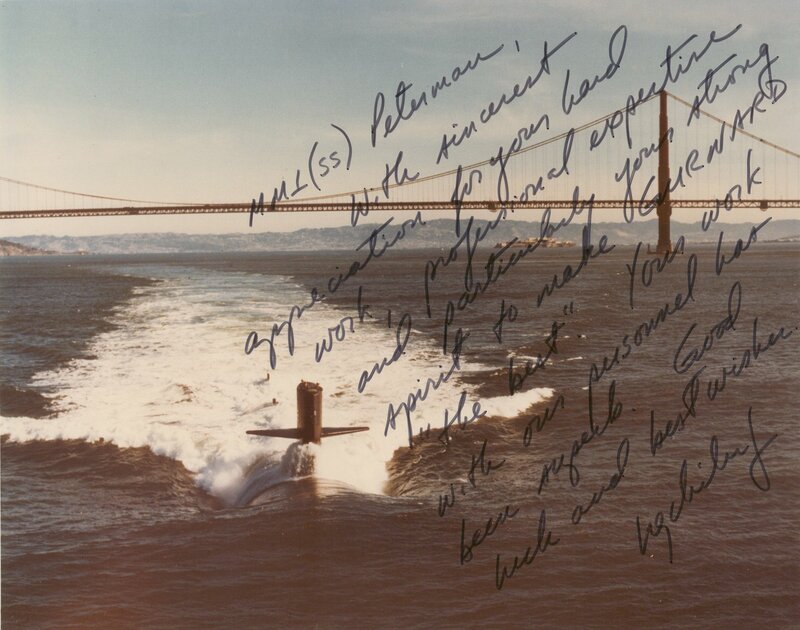 The emergency diesel in 588 class submarines was in the Auxiliary Machinery Space Lower Level. 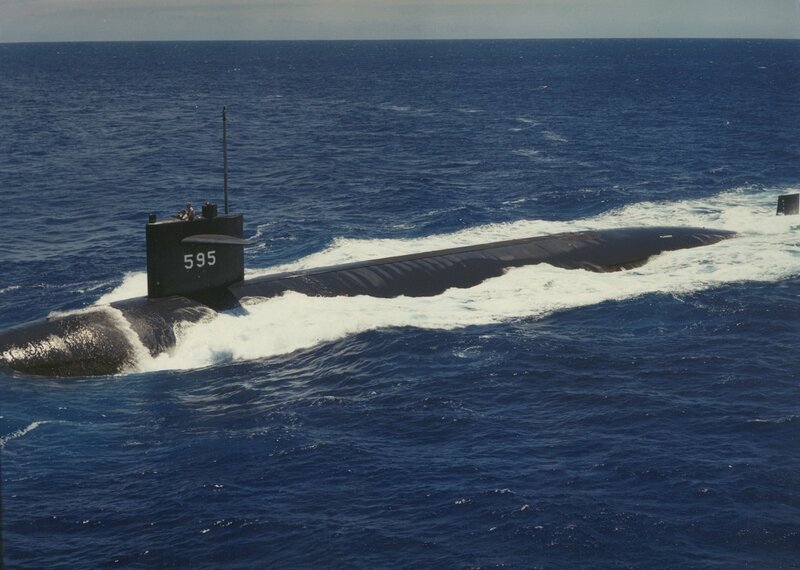 Newer class submarines have the emergency diesel in the forward compartments. 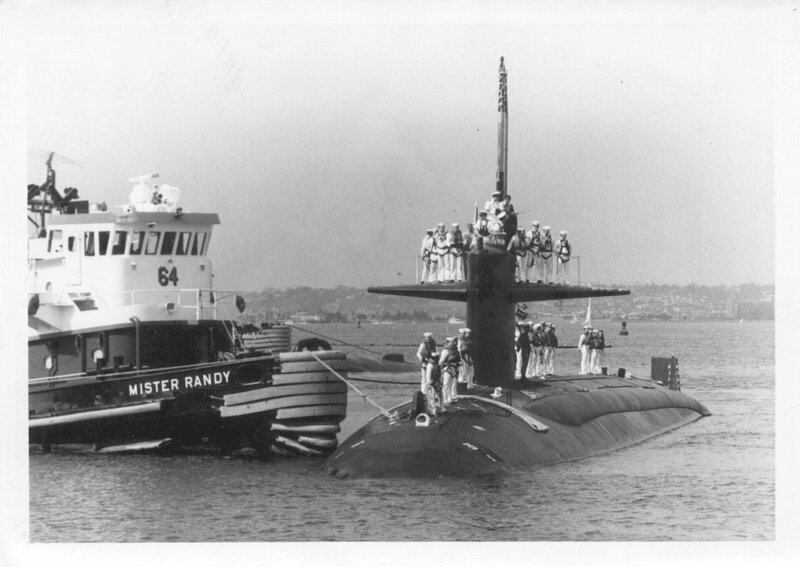 I qualified "SS" on this class of submarine, oh the fond memories of qualifying. WESTPAC '79'. Oh, the fond memories of liberty in Melbourne and Perth. 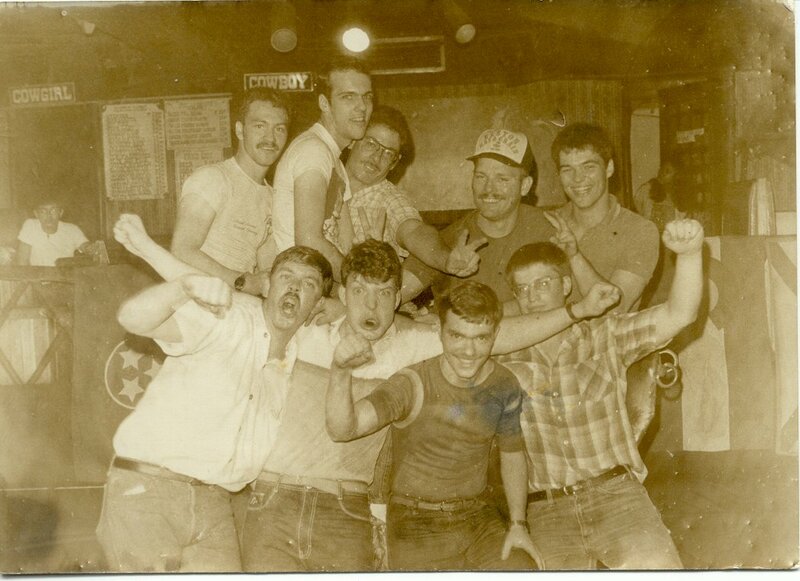 Shellback initiation. Swim call in the middle of nowhere and diving off of the sail planes while armed Torpedoman watched for sharks. ORSE on the way back. "Hammering Hank Chiles" was the C.O. 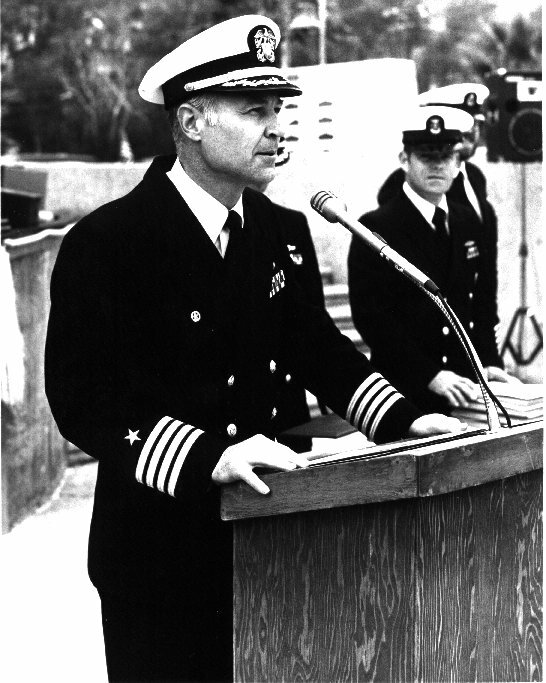 and yes that is the retired ADM Henry G. Chiles Jr.,USN. He was a tough but very fair C.O.. He played on the Gurnard's flag football team that won the Subase San Diego Championship in 1977. The first picture of the Gurnard is signed by him. 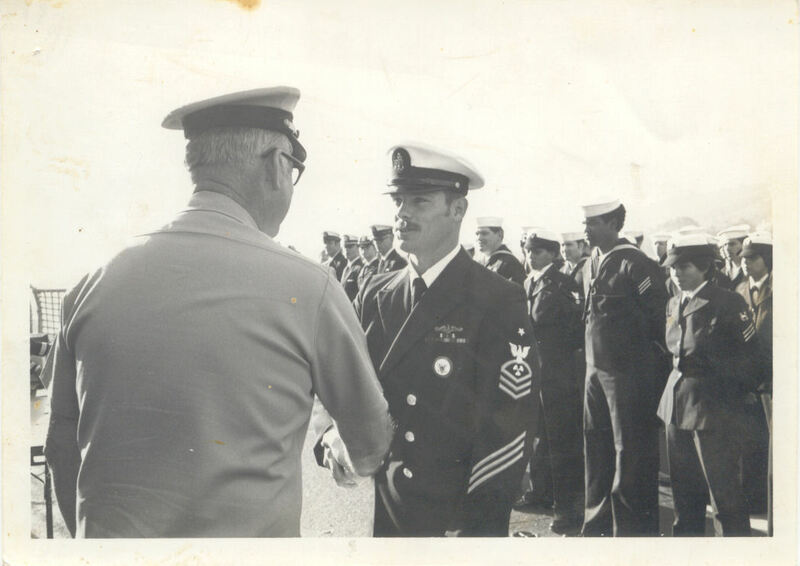 I owe him greatly for my many successes in the Navy. 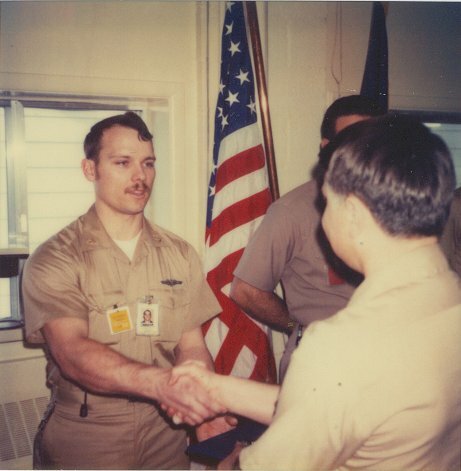 Here I am receiving one of the first Master Training Specialist Awards in the Navy from Capt. Meinike. 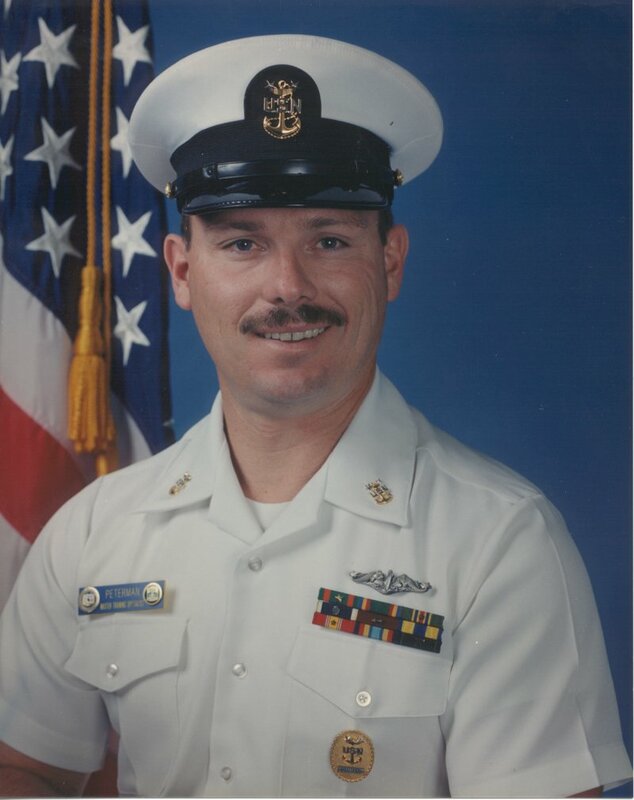 I was on the USS Dixon AS-37 in the Nuclear Repair Division as a MMC and MMCS. 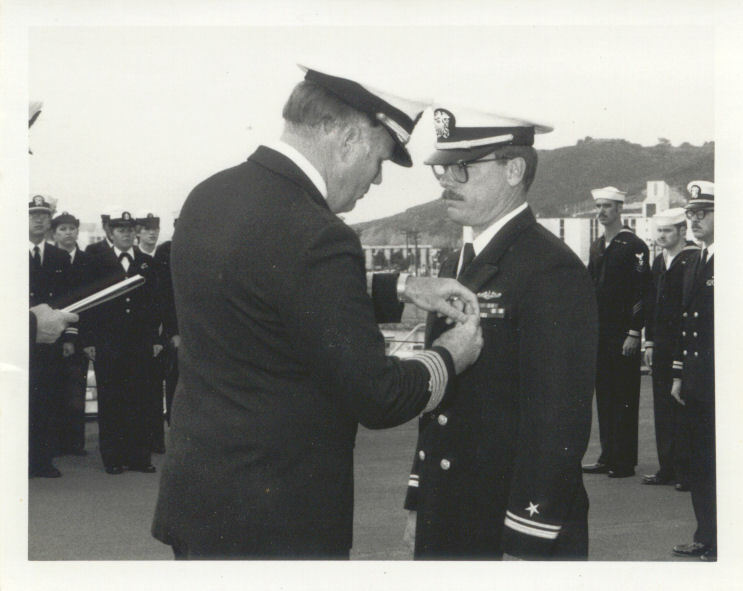 Later returned to the Dixon as an Ensign thru LT. Did one job while there as an officer and it was Quality Assurance Officer for a squadron of 594 Class boats. To say it was a challenge is an understatement. Enjoyed the job but not the BS. 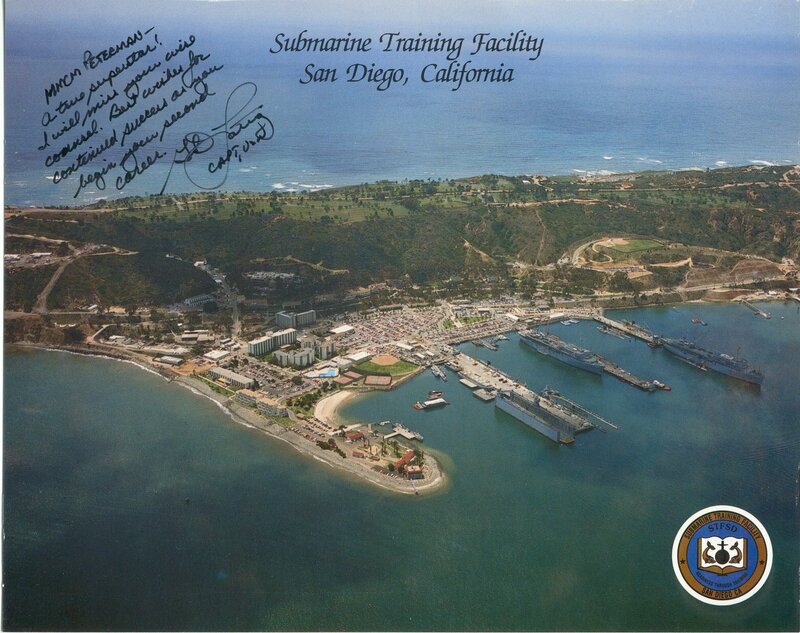 I reverted back to MMCM and was going to retire but the local CPO Community asked me to take the CMC job at SUBTRAFAC San Diego. Great running boat with a great crew and a fearless C.O. named CDR Gradisnik . We did things on WESTPAC '86' we will never be able to talk about. The C.O. drove the ship hard, us hard and let us play hard in the ports we hit. 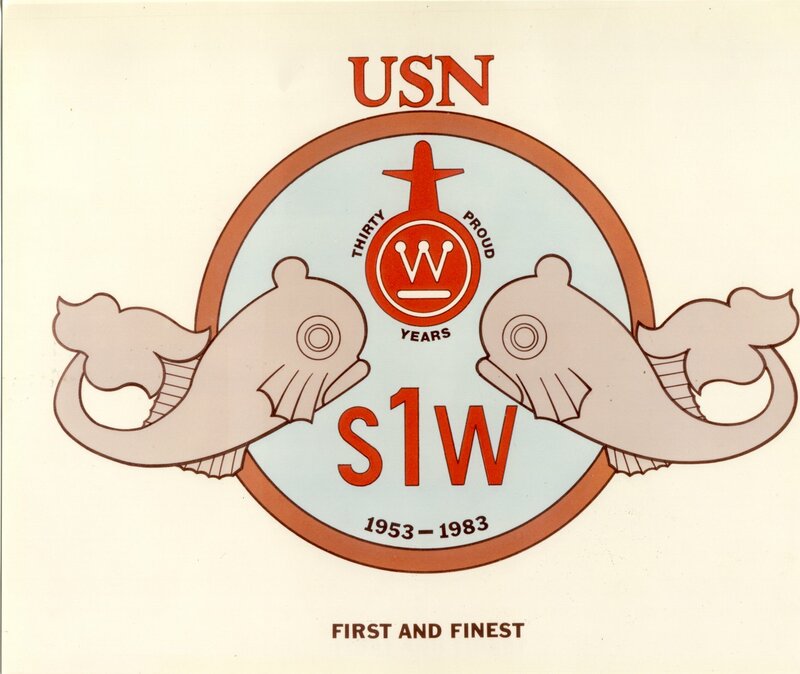 We won the Battle 'E', Engineering 'E' and Supply 'E' that year for Submarine Squadron Three. Not bad for a 25 year old boat! 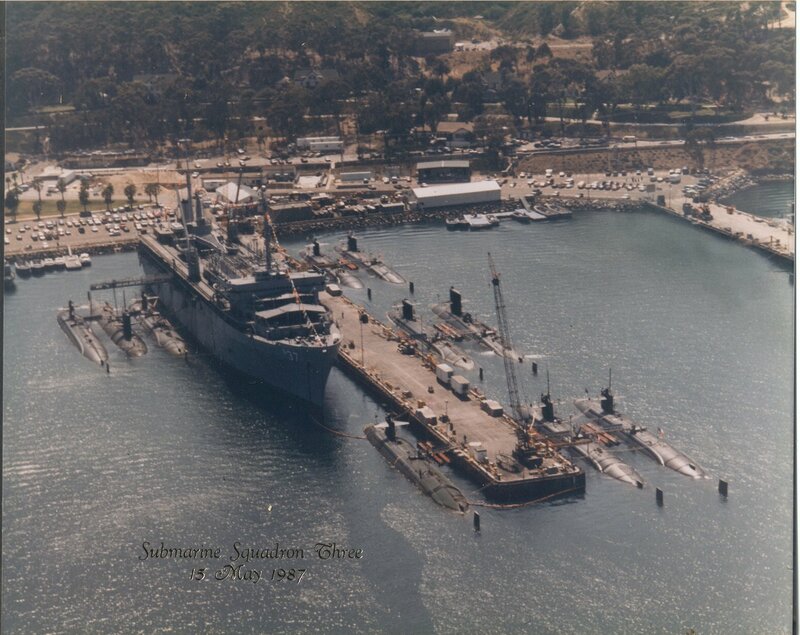 May 1987 the one and only time anyone saw all of SUBRON3 in port Subase San Diego at one time. 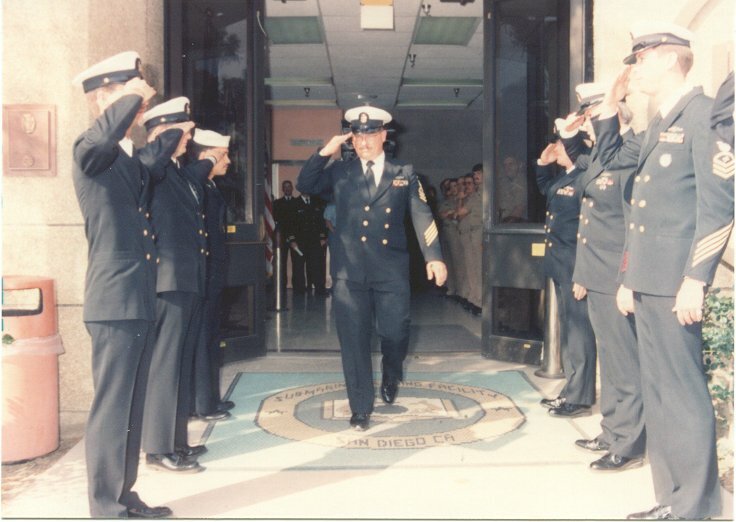 Actually it was a planned evolution in conjunction with a COMSUBRONTHREE change of command. 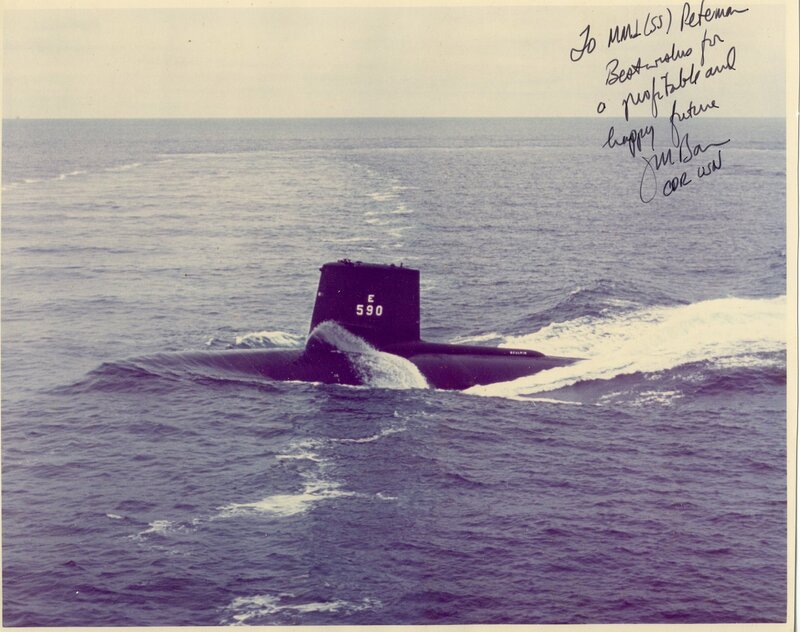 Visible are the following: 594s= USS Permit SSN-594, USS Plunger SSN-595, USS Barb SSN-596, USS Pollack SSN-603, USS Haddo SSN-604, USS Guardfish SSN-612, and USS Haddock SSN-621. 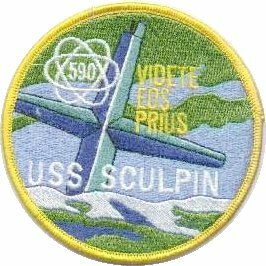 637s= USS Guittarro SSN-665 and USS Gurnard SSN-662. 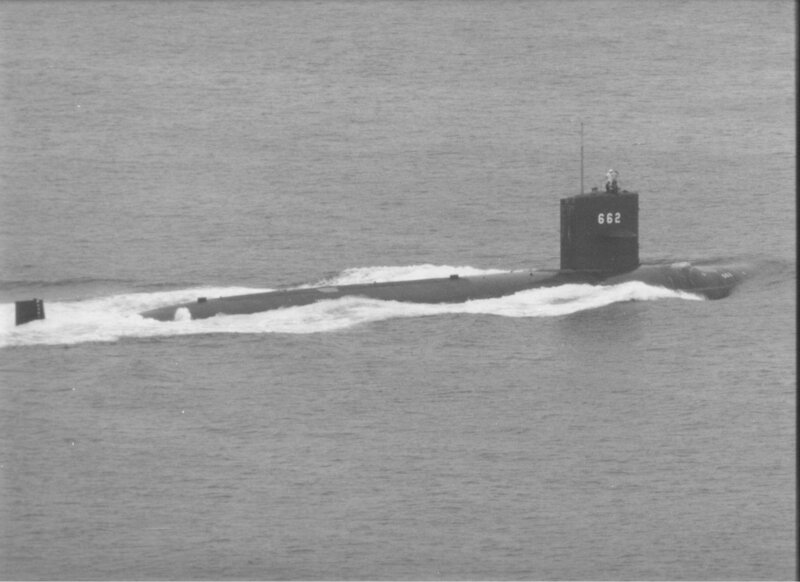 Sub Tender USS Dixon AS-37. You can imagine shorepower on that pier was maxed out. Everyone was having trouble with shorepower trips. If you look closely at the pier on the right hand side of the picture you can see where a 688 that was in port at the time was brushed out of the picture. This is an aerial view of Subase San Diego. Visible along with the Base are the USS Mckee AS-41, USS Dixon AS-37, the floating drydock (ARD) and several submarines.